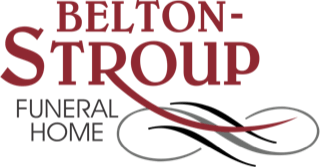 Since its establishment, Belton-Stroup Funeral Home, has been guided by the principles of our founders — to provide compassionate, affordable funeral service to families and individuals. We take our time with families and listen in order to provide guidance and support every step of the way for a personalized memorial service. Each life is unique and it is our desire to assist you in creating a funeral service that honors, remembers and celebrates the life of that unique individual. We will provide you with the most modern equipment and facilities available without forgetting the importance of the traditional values of our community. When the funeral is over, our service to you does not end. We will assist you in family matters such as veteran benefits, social security, insurance and other areas of personal affairs.